Lunarlon cushioning system features a soft yet resilient foam core for the ultimate in lightweight cushioning. Zonal herringbone outsole provides lightweight targeted traction on indoor/court surfaces. 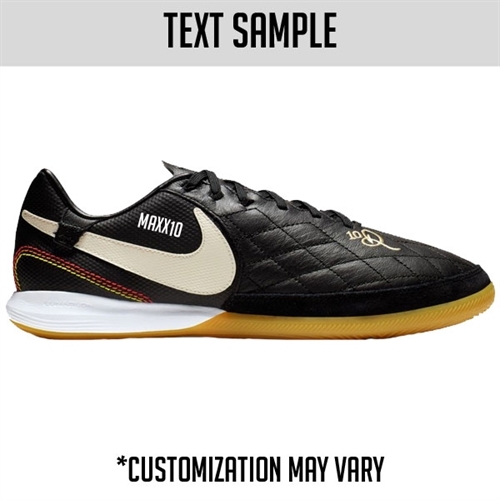 Our Nike Lunar LegendX VII Pro 10R IC combines the classic touch of calf leather with 10R details, like a throwback quilted toe, that celebrate Ronaldinho’s success in storied football cities throughout his career.